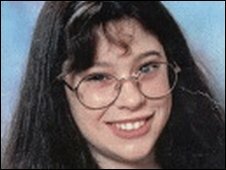 Ruth, from Betchworth in Surrey, went missing on 27 November 1995. That morning Ruth went into Dorking with friends and after saying goodbye to them took a taxi to Boxhill. The taxi driver dropped her off near the Hand In Hand pub in Boxhill at about 4.30pm. Ruth has not been seen or heard from since. Despite some unconfirmed sightings of her around the Surrey area, Ruth's whereabouts remain a mystery. Her parents and younger sister miss her terribly. Her parents said: "We just want Ruth to know that we love and miss her and urge her to get in touch. We do not want to put pressure on her to return home, but we need to know that she is safe." When Ruth went missing she was about 5ft 3in tall and had dark, shoulder length hair. She normally wears glasses. I have been asked here on the blogger if I would look at Tarot for Ruth Wilson who disappeared in 1995. Tarot can sometimes give us hints or suggestions that might help though Tarot is not considered to be 100 per cent accurate and for that reason it is always wise to go to factual sources of information. A difficult card really to begin with though Tarot is past present and future and it will advise of all sorts of circumstances whether asked for or not. What I seem to have for Ruth is a feeling of initial freedom but a kind of destitution. This card shows 'being out in the cold' sometimes referring to the weather in general ice or snow and North but at the same time it is showing someone in very difficult circumstances. The first thing is health and finance. Finance is showing us that 'there is not enough money' because there are most certainly some financial problems here which would be odd as this is thought to be a schoolgirl going to school? I cannot decide circumstances I can only follow the Tarot and in this card it seems that someone just did not have enough money to deal with problems and that creates a real problem but for some reason they dont ask for help in this matter even though its a good idea too as people could help. That is why we have a lighted window there, its an invitation to get help but no help is sought here and health is in poor condition. I see a lot of loneliness and rejection in this card and obviously am not quite sure how/when that has occurred. Someone has to pay some bill here or pay something out but no money to do this? Was someone suffering from unemployment somewhere? These cards do lead to school cards they show that this girl would be studying at school. The Knight that would appear is often a travel card but the pentacles cards shows a crossroads and possibly walking at some point. I see that there is somewhere to 'go' in this card and Im being taken to a building where I see this girl possibly in rural surroundings. The word 'manor' might show here. I dont know how 'big brother' we were at the time of her disappearance but was she caught on camera at all? The initial thing I see is having some money in her hands and being somewhere that she would have to weigh up family and finance matters, unless that is not her but a situation that was occurring at the time. This five of pentacles shows not being well or illhealth and neglecting your own health in these cards. There seems to be a bond or friendship or affinity with another person who is going through the 'same kind of thing' in this card and perhaps linking up with them? There are indications in this card that support is needed from a family member or friendship and this is provided to overcome difficult situations. Sometimes church organisations are on these cards though I dont know how that would fit into the situation at all. Im not sure if that is a past trait for Ruth or not. Perhaps someone offered to help here and they did the opposite. I just see finance worries and concerns and needing a way to overcome them. Not what I really expected to see as a first card. I am also possibly seeing grandparents in the cards or some kind of family home and also a couple of dogs. The card that I see along the future of this row is really getting security someplace else because of emotional or some other problem. Of course I may have read this wrong and I just have to apologise for that but I write what I see and have to accept if the situation is slightly offside. The upright pentacle card is generally more positive for health matters so I would assume somehow that on that day this girl is fine but that there were problems in her life? Perhaps she had a plan and some of it went wrong. However though the pentacles are generally good cards for health questions upright there is a sense of abandonment here and I think that has to be something not to be overlooked. This card shows measures of insecurity on relationships and money so I think something has started out ok here and turned pear shape. You have to remember Tarot is going to talk about everything around Ruth and not just the day she went missing so everything might mean something in its own way. There is a distinct lack of finances here, losing money? sensing insecurity and feeling abandoned that is what comes through the strongest. There is a small water reference here but Im not sure whether it is emotional or whether there is water in a vicinity. I wonder if there is any farmland around. Tradespeople can come up in these cards therefore I would mention that also perhaps a black car also and an older man. This card puts Ruth in or near a water name or environment. It seems to show her moving North East but this card is generally West. It tells us that she was seeking emotional comfort elsewhere but I dont know about that. In this set of cards it seems to me that someone is disappointed with a link to someone else , scandal and lack of friendship are on these cards and going off with someone seems to be here. Water/bridge and a small building may appear and names with M or W could come up. There should be a river somewhere or again a water name is here. There is nothing clever about cups reversed, they create all sorts of emotional problems and also people we think we can trust are not trustworthy they are cunning, crafty and violent sometimes too. I see the family home in this set of cards but being within a few miles of it. I could be wrong of course and she may be much further away as the town would be reversed in this card so perhaps on the border of her town and another or the next one? There is nothing good in these cards emotionally everything is reversed there is no love here there is cruelty and insensitivity going on. Boats/lakes and water come up here but they could be in 'names' of places and the number 7 is strong. Horse names could come up here so as she is linked to Dorking , I would say Surrey still figures somewhere. The seven of cups is well known for drugs/hallucination and illusions so we have to take that into account. Her home address is on these cards too and would suggest someone in her home environment might know where she is, by home environment I mean her town where she lived. Was she pregnant or associating with someone that was not suitable? Im thinking that her plans were thwarted in some way. Im not sure if this card is giving the best for vicinity but I would have thought we have to look to water and environments that have that in the name . I see a married man here who should have a fatherly outlook but I am not feeling he has that kind of aura. She could have come into the wrong hands perhaps. I note the place Boxhill and I cannot see the reference to a hill in these two cards but I can see a box in this 7 of cups as it does have a container in it but I would have thought that area would have been searched. I have just recessed to look at a map of Boxhill and there is a River Mole there. I would imagine that any outbuildings or the area had been checked though, but I do see some water and maybe Im just picking up the vicinity she was known to have been in rather then being given her location but I feel the water M must be Mole? The 9 of cups can show someone who is hidden it also shows a drinking establishment therefore indicating that perhaps looking in a 7 miles circumference? The three of cups does not show friendship, it shows adversity. Asking when Ruth will be found this card tells us that she is 'mislaid for a time'. Im not getting good vibes off the last two cards at all. I am feeling that some truth has been withheld and that unless someone is prepared to have honest and painful conversations of truth then Ruth will be staying right where she is . These swords do not play around when it comes to Tarot they absolutely show that Ruth was in some kind of argument or was not allow to argue back about something and for that reason it seems that someone stronger got the better of the argument. That ace of swords shows cutting also and if Ruth is not out there somewhere today it can means something that is less then savoury here. I obviously like to put out positive vibrations about the situation because at the end of the day everyone wants to make sure that lost people get home but in this case someone does know where she is and they also know that an argument took place. I feel like water rocks and stones are in this card and how about some liars and deceivers to throw into the mix? the truth always comes out in the wash, famous saying, it can take years, but even so, its going to happen eventually because these cards tell us that someone has to come forward to speak. Three people are picked out in this tarot one of them could be this young girl but there are two others. This card is typical of having a broken heart or even being physically hurt with a sharp instrument. I would prefer it was an emotional entanglement that is distressing rather then anything else but we have to face the truth in these cards and know that unless someone talks Ruth wont be find for a while yet. The cutting effect in the Swords may also be the cutting of ties so that also has to be borne in mind. I see coastline and water, coastline means an area that is edged with water. Airports, railways and Hills do come up here so we have our Hill at last. I will look at some of the locational factors and see if it throws anything up. I have the colour Yellow here and feeling that 'East' shows up as a directional factor. Tarot is not 100 per cent accurate and I ask you bear that in mind. Naming locations is almost a 'folly' when there are many places that could 'fit' with Tarots indications but if there is anything solid here that makes sense, then perhaps it may turn out to be correct. I am never sure personally that Tarot can name a place and I feel that must be taken into account. All descriptions must be considered and taken as a whole. Thinking of Ruth and hoping for her recovery one day. I do need to do locational values regarding Ruth and this is a very brief overview of what Tarot has given. I will try to re look at the cards as soon as I am able to look at other factors. at a pub by a taxi driver? She only looks about 8 years old? Surely she must have had a chaperone with her? I try not to speculate over what is written in Tarot. All I can do is write what I get and hope that it turns out to be the case. Empathy, yes of course, no offence intended to you. It just seems bizarre (not your reading, the circumstances of her going missing).I hope she makes her way home back to her family after all this time. Kate. She was 16. Ive always wondered if the taxi driver has been questioned thoroughly, did he drop her off? Also there was a pub nearby, had she agreed to meet someone there and be picked up by car, or even go for a drink in there? If the worst has happened to her, its strange no body has been found. Her parents turned down the chance of more publicity for the case. Thankyou for all your hard work!! !